One of the girls scored this Miles from Tomorrowland pin on a trip to the parks in Anaheim recently. I don't recall if this was traded for or purchased, but based on how 'new' this seems to be in the mix for trading, I am guessing that we bought it? 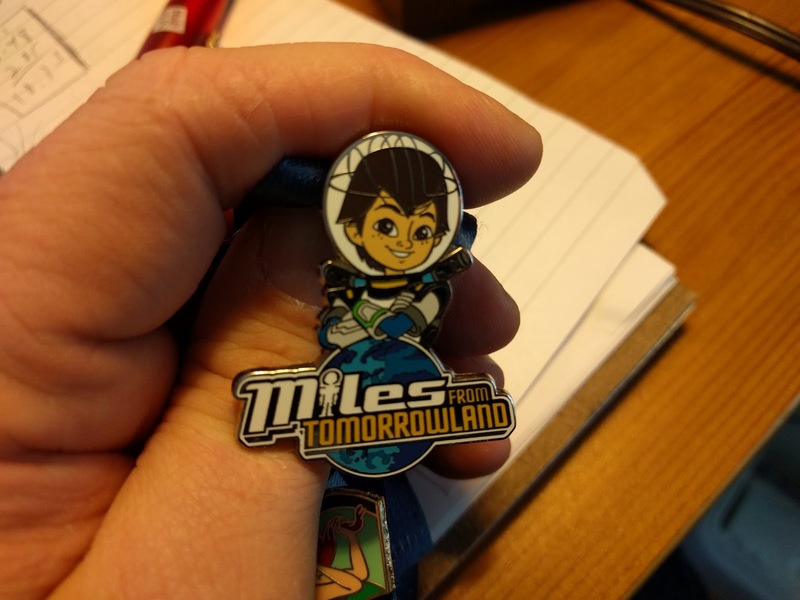 Have you heard about Miles? He's pretty cute and a nice way to bring the land in the parks a bit closer to the kids on Disney Junior. Now, if Miles and his family can convince my scaredy-cat daughter to go on Space Mountain? That'd be something.